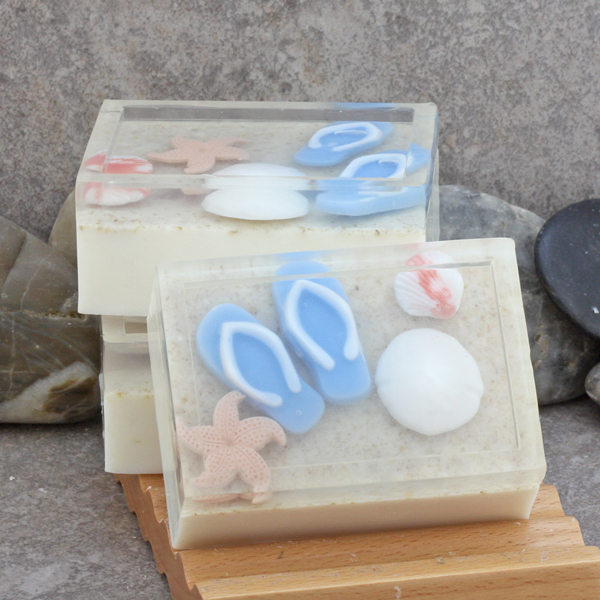 I am thinking of expanding on my line of themed soaps that I currently create. This would be the next one that I do titled "Winter Nights". 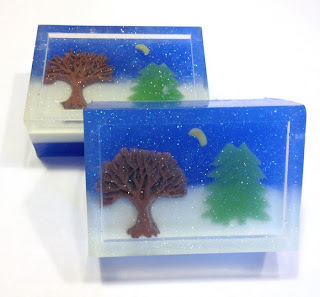 Scented with Brambleberry's "Fresh Snow" fragrance oil using SFIC glycerin soap bases for both the embedded elements and the soap bar with suspended fine glitter for sparkle. Thinking of other ideas that can be put into soap too!! So beautiful & inspiring Faith!